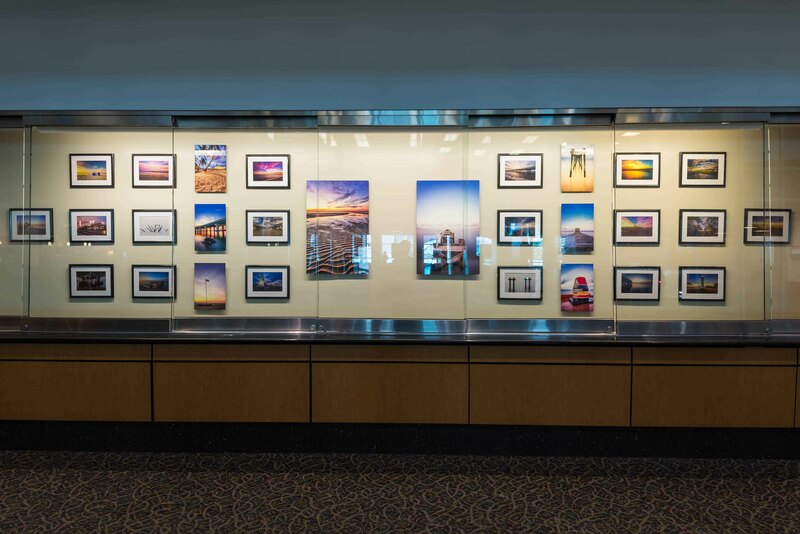 The Airport Arts Program promotes local artists by showcasing their work throughout the airport terminal. This program enhances the experience of Gulfport-Biloxi International airport users, showcasing and educating visitors and locals on the cultural heritage and artistic development of the MS Gulf Coast Region. All forms of artistic expression are eligible for inclusion in the Airport Art Program, which includes include professional or amateur art, as well as educational and historical works. Registration is open to organizations, groups and individuals. Artists who wish to submit their work for consideration in the Airport Art Program are urged to contact GPT@flygpt.com for more information.